When it comes to fashion, Delhi is leaving Mumbai behind. Girls of the capital don’t mind to go with the latest fashion trends. From hot pants to lavish jackets, they try various types of modern and ethnic dresses. Now, Delhi has developed into one of the most prime hub for pursuing various types of courses in the field of fashion. The goal to work in the glamour industry can be fulfilled with these courses. 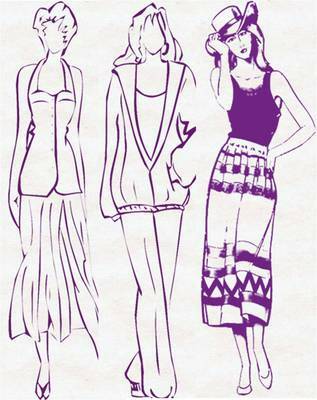 Many reputed fashion institutes in Delhi are offering job oriented short term fashion designing courses. These courses are designed to focus on one subject deeply. They are profitable for guys who are working in the fashion industry already and want to get some extra knowledge in a particular field of fashion. These courses are also beneficial for entrepreneurs who are associated with the glamour industry. Among Delhi top designing colleges, some of them have found special place in short term courses such as International College of Fashion. These colleges offer industry relevant, useful and customized short term programs. Here are some of the most popular short term programs to pursue from fashion designing college in Delhi. It is a hot short term program. The course focuses in providing business skills such as dealing with clients, budget planning, business strategies, handling wholesale businesses, production analysis, handling client’s issues and various types of B2B marketing techniques that require to run a business successful in the glamour market. Supplier, export, import and wholesaling related plans and how to manage the business well, all types of tricks are taught in the course. The program ismost preferred by businessmen and people who are working as a manager and consultant in fashion retails. The course duration is less than 6 months. Classes are organized on weekends so that applicants can find easy to attend regular classes. It is a top level short term course. It is designed looking at the today’s e-business culture. The program tells the mantra of how to make your e-business of fashion successful. It teaches the technique of managing the online business, promoting business and evaluating competitors. The customized program is famous among entrepreneurs of India who want to jump into online businesses. There is no doubt that these days, fashion retail houses demand dynamic, energetic and pleasant behaviour retail experts. Youth learn about how to talk to clients and convince them about products. How to make them mould with their words to purchase products. It teaches about maintaining happy customer relationships. Walking like a model is not as simple as it looks. There are several youth who are dynamic and charming but unable to make place in the modelling world. It might because they fail to provide good impression in walking. The course is designed for the purpose. It teaches about the model catwalk step by step. It increase the level of confidence also to face audiences boldly. A fashion institute in Delhi offers the fashion event organizing course that teaches how to set the stage, decoration and crowd handling techniques.